ZAKA – Former Catholic-run Musiso Mission Hospital matron, Modester Mutombwa who had been on three months forced leave, has now been transferred to Chibi Government Hospital following irreconcilable differences with the church. Masvingo Provincial Medical Doctor (PMD) Dr Amadeus Shamu confirmed the development but said there was nothing amiss about her being at Chibi although TellZim News is reliably informed that she was transferred because of serious differences with the new Musiso Mission priest-in-charge, Father Fidelis Dakwa. "She is now at Chibi Government Hospital. There is nothing amiss on the development because we used to have catholic nuns at such places as Masvingo Provincial Hospital. They are free to go to whichever clinic or hospital they choose," said Shamu. On the part of her being on forced leave, Shamu said Mutombwa herself was the best person to answer the question as he only knew that she was now at Chibi. Efforts to get a comment from Mutombwa were fruitless as her phone was not reachable by the time of going to print. Sources, however, said Mutombwa was sent on three months forced leave by the responsible authorities after a fallout between her and Fr Dakwa over the hospital car. The sources said the church had allowed Musiso High to use the hospital's car since the school's own was down, but Mutombwa would have none of it. Others said earlier on, Mutombwa had had a fallout with trainee doctors who then reported her to the responsible authorities. Those allegations were however disputed by the vicar general, Fr Walter Nyatsanza who said she had just taken normal leave days. Other sources at the mission said the priest-in-charge was exercising administrative overreach by usurping all the powers of those below him, and was a control freak. 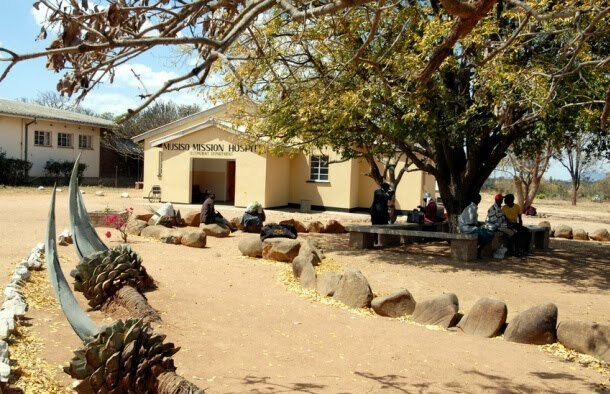 They said many people at the mission were hardly coping with his leadership style, saying former high school head Immaculate Tinago could not take it anymore hence her move to Edrrovale College earlier this year.